Triangle homeowners are eager to take advantage of the exciting real estate market in 2017. 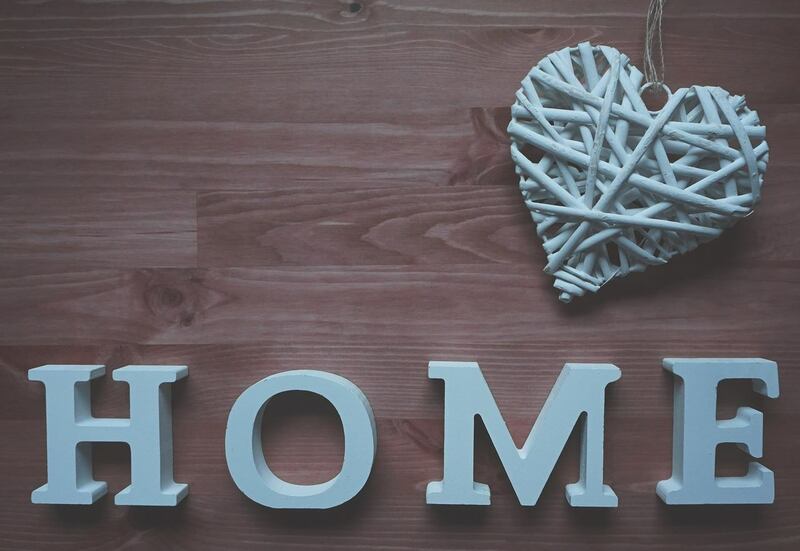 With so many newcomers flocking to Raleigh as well as Apex, Cary, Holly Springs, Fuquay Varina, and Morrisville; there will be plenty of interested home buyers looking for the perfect home. Since there are lots of things to think about when preparing to sell a home, our agents here at Flat Fee Realty want to share some insider information. For example, plenty of sellers know how to prepare for a home showing, but do they know what not to do for a showing? Lingering homeowners: Quite frankly, it’s rude to hang around when potential buyers and their agents come to view the home. Sellers can put unnecessary pressure on visitors or make the entire visit an awkward situation. Bad or overpowering smells: Odors can be a big turn off for buyers. Scents that linger long after cooking, pet odors, and cigarette smoke; they are common offenders. Sellers, who have gotten used to their own home, may be unaware of odors that have settled in; but buyers will notice them immediately. Also, some people have allergies to perfumed scents, so don’t use oil plug-ins or air freshening sprays. Dirt or clutter: It’s not expected for sellers to keep an immaculate home at all times. Life happens, and for families on the go it’s hard to keep up with every speck of dirt. However, there shouldn’t be mountains of dirty laundry, rings around the toilets, overflowing trash cans, and unmade beds. Those details will impact the buyer’s perception of the home, usually in a negative way. Loose and wandering pets: Animals are a blessing. Yet, beware that some buyers, or agents, may have pet allergies or fear of animals. Also, dogs and cats can be unpredictable, and if they feel threatened in any way there’s no telling what could happen. Best to be on the safe side and keep the pets in a secluded area or with neighbors where they can’t be disturbed. Don’t let the stress of selling a home create any mistakes. Get the house show-ready with the help of our real estate experts from Flat Fee Realty! Contact us today to see how we can help. 2017 is gearing up to be a great year for real estate in the Triangle region! Home buyers and sellers alike will have many opportunities if they live in the Raleigh area markets. Of course, there are a few important items to consider before buying a home, and a very important one is the mortgage and private mortgage insurance (PMI). This insurance is applied to mortgage loans that protect the lender in case of a borrower default. In most cases, buyers must have this insurance. However, our real estate experts at Flat Fee Realty want to empower new buyers by making sure they are aware and informed about how this works. Why is it required? Buyers with less than 20% equity are required to opt-in for mortgage insurance. The good news is that these premium rates are usually affordable, in the 0.5%-1% range of the total loan being borrowed. Lenders will want this applied to ensure they’re protected in the event that the buyer defaults on the loan. Is it necessary for every loan? In this kind of equity situation, the answer is yes. Conventional loans through banks will have arrangements for the insurance to be set up through a private company where rates may vary based on credit score or loan amount. 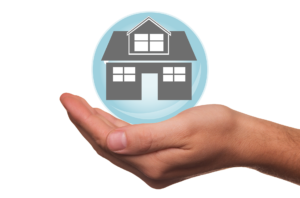 Federal Housing Administration (FHA) loans have the insurance paid directly to them, generally with the same rate applied no matter the credit score, including an upfront payment factored into closing costs and then monthly payments thereafter. Will the insurance ever go away? It is possible. Removing private mortgage insurance (PMI) requires being up-to-date with monthly payments as well as reaching the date when the principal balance of the mortgage falls below 80% of the original home value. After that, the Homeowners Protection Act gives buyers the right to request a PMI cancellation. If the real estate and housing market is confusing, don’t feel pressured to look for a home and related products without expert help. Our knowledgeable agents with Flat Fee Realty will help everyone navigate the real estate market in 2017. Contact us today to meet our remarkable team! 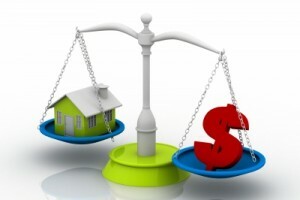 3 Important Reasons Why Ringing in the New Year with Flat Fee Realty Makes Cents! Merry Christmas and Happy New Year everyone! Selling a home can be a stressful endeavor for Triangle homeowners during the Holiday Season and into the New Year. The housing market in Raleigh and the surrounding area has many prospective buyers looking for homes in the Capital City, Apex, Cary, Morrisville, and Holly Springs among others. Listing a house “For Sale by Owner” (FSBO) might seems like a good idea for home sellers who think they will be saving and making money when the sign goes up. It is not as easy as it is in theory; often the reliance on a real estate agent knowledgeable in local and the Triangle market will be an advantage. The FSBO market is often a challenge: A fairly recent study by the National Association of Realtors reports that sales of homes listed as FSBO accounted for only 9% of all home sales; the FSBO market peaked at 14% in 2004. Smaller numbers mean more challenge. Marketing is never easy: A local Flat Fee Realty professional knows the market and the listings. Yard signs, Facebook postings, and newspaper ads may seem like the current methodology for selling a home, but relying on these strategies can place a novice seller at a disadvantage. Plus, working with Flat Fee Realty can boost the chances of a qualified sale; listing the home on the Multiple Listing Service (MLS) is a great factor. Limited availability for potential buyers: Many potential buyers can place multiple demands demand on the seller, and at a moment’s notice. For Triangle working professionals and parents, this can be a problem both with schedule and time. Having an expert Flat Fee Realty agent can minimize stress and manage the showings. 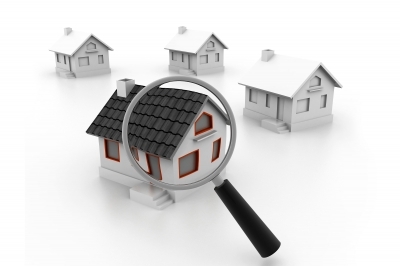 Listing as home “For Sale by Owner” can have considerable drawbacks that can affect selling success. 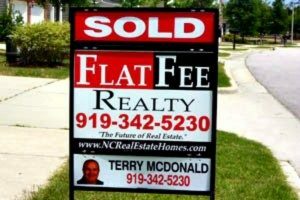 For those looking to sell a home across the Triangle, please contact our expert agents at Flat Fee Realty for exceptional service and insight into the Triangle housing market. May everyone have the most wonderful Christmas and Happy New Year!